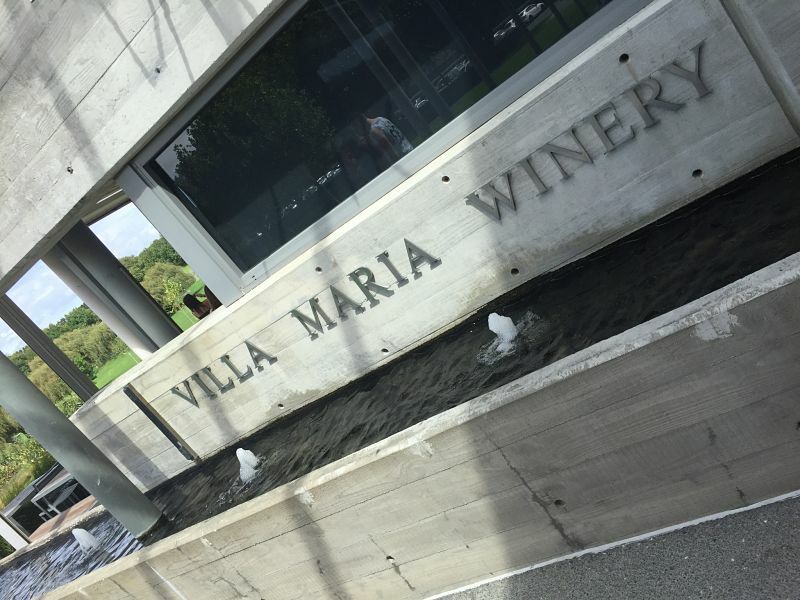 For years I’ve enjoyed Villa Maria wines and I was pretty giddy the day I visited the winery just outside Auckland in New Zealand. The wines are a familiar sight on the wine shelves at home in the UK and there I was, thousands of miles away meeting the people behind them. Oh, and tasting them too. I’m nothing if not predictable. The Auckland home of Villa Maria is an intriguing place. My friend was driving three of us and we weaved through a typical urban industrial estate very close to Auckland International Airport and then suddenly a driveway appeared and we turned down into a green oasis. The Villa Maria headquarters in Auckland are set inside a 20,000 year-old volcanic crater – don’t worry it’s extinct. It is a wonderful amphitheatre which is perfect not just for growing grapes which create award-winning wines, but also the occasional concert. Tom Jones my friend said randomly. I thought she was having a private reverie and it was best to leave her be. It transpired she’d seen him in concert in this very place. Villa Maria was founded in 1961 by George Fistonich (now Sir George) just up the road from its present HQ . Now 50 years later it has vineyards in Gisborne, Marlborough and Hawkes’ Bay and exports wine to over 50 countries. 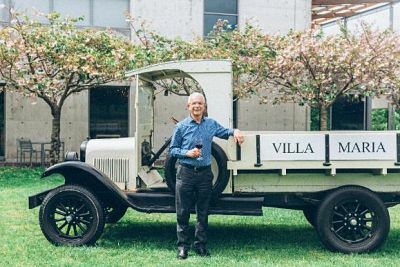 To visit Villa Maria’s Auckland winery is to dip a toe into this amazing success story. You can take a tour around the winery, including the busy, busy automated bottling hall, enjoy a tasting in the cellar door and then round off everything with lunch in the Vineyard Cafe. Which is pretty much what we did. It was all very nice too. 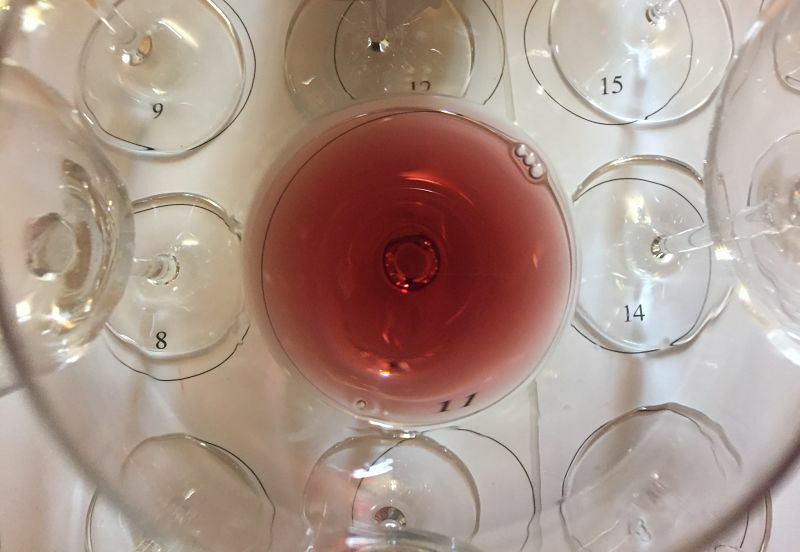 We were led through a tasting by Senior Auckland Winemaker David Roper, a one-time microbiologist, who decided the science of wine was more to his taste. He told me science was a great background but he is also driven by the creativity that winemaking brings him. Here’s some of the 18 wines I tasted. I know, I know but someone’s got to do it. 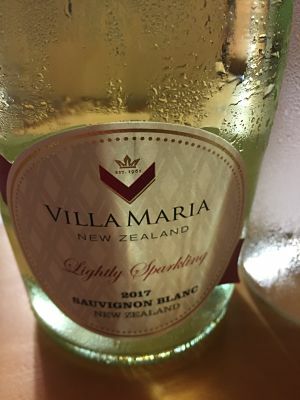 Villa Maria Private Bin Lightly Sparkling Sauvignon Blanc 2016 (RRP £11.75, Morrisons, Fareham Wine Cellar, New Zealand House of Wine, Amazon) This is a pretty little wine, appealing to those people who like a drop of prosecco, but it isn’t hyper on the bubbles. The clue is in the “lightly sparkling”; grapefruit and lime aromas zing from the glass. Nice for summer. Villa Maria Private Bin Lighter Sauvignon Blanc 2017 (RRP £12.35 New Zealand House of Wine, Amazon) A lifestyle wine, as described by David. It has only 10% abv for those who want a sensible lower alcohol intake; it has good acidity with notes of limes and herbs. Villa Maria Reserve Wairau Valley Sauvignon Blanc 2017 (RRP £15.95, Majestic Wine, Asda) There are two valleys in Marlborough, (in the north east corner of New Zealand’s South Island) and each produces their own sauvignon blanc signature notes. The Wairau Valley is further north (around the town of Blenheim) and wines typically have tropical fruit notes, whereas the Awatere Valley wines are more herbaceous and grassy. This wine had a delicious lift of passionfruit, gooseberry and grapefruit with a racy acidity. Villa Maria Reserve Clifford Bay Sauvignon Blanc 2017 (RRP £15.95, Sainsbury) Well this vintage has picked up several gold awards in New Zealand and it was easy to see why. It is a blend of grapes from vineyard blocks known for delivering pungent aromatics typical of the cooler Awatere Valley and influenced by the Pacific Ocean. The wine had 4-6 weeks on the lees to add texture to the palate. Limes, herbs, grass and blackcurrant leaf. Villa Maria Cellar Selection Sauvignon Gris 2017 (RRP £13.85, The Cooperative) Well this is unusual and I’m so pleased it can be bought here in the UK. Sauvignon gris is a grape which has its home in Bordeaux. My notes said tropical fruit, mango and lychees, with a good creamy weight from the wine sitting on the lees for a few months. Villa Maria Cellar Selection Chardonnay 2016 (RRP £14.90 New Zealand House of Wine) Mmmm, lovely. A buttery chardonnay with pineapple, guava, peaches and cardamom notes. Some of the fruit is hand-picked, all of it is fermented in barrel (with a small amount of wild fermentation) and the final blend is aged in oak for eight months. 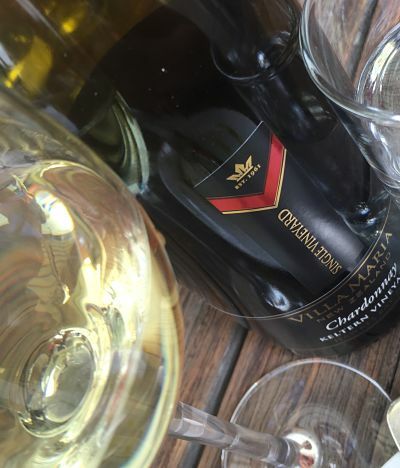 Villa Maria Single Vineyard Keltern Chardonnay 2016 (RRP £27.45 New Zealand House of Wine) We took a couple of wines to lunch – this was one of them. My chardonnay-loving pals fell for this wine which won gold in the 2017 International Wine & Spirit Competition. Oh my, grilled pineapple, honey, lemon, and nectarine; plus it is toasty and has an upright line of flint. Villa Maria Private Bin Pinot Noir 2016 (RRP £13.80 Tesco, The Coop, Asda, Morrisons) This is a fruity, easily approachable pinot noir. It has a good balance of fruit and acidity and has a nose of red fruits and strawberry with cherries and raspberries on the palate. It is quite peppery too. The wine is a blend of grapes from both the Awatare and Wairau Valley. Villa Maria Cellar Selection Pinot Noir 2016 (RRP £16.20 Majestic Wine, Waitrose Cellar) It has deeper fruit notes than the Private Bin and has seen oak aging in a mix of new and old oak for 10 months, sitting on its lees. It has silky tannins, with overtures of smoky oak and a cupboard full of dried herbs. Villa Maria Reserve Pinot Noir 2015 (RRP £21.45 New Zealand House of Wine) Ah, sweet spice, coffee beans, blackberries and cranberries with dried herbs just peeping in at the end. It won gold in the 2017 Air New Zealand wine awards and I believe I might have sneaked a little sip on the plane and savoured its toasty, savoury notes. Villa Maria Single Vineyard Seddon Pinot Noir 2012 (RRP £28.95 New Zealand House of Wine) The Seddon vineyard is a warm sheltered site on the southern bank of Marlborough’s Awatere River and it is offset by a cool evening breeze running off the slopes of Mt. Tapuae-o-Uenuku. The wine has delicious layers of fruit, with cherries, plums and some sweet spice. Here’s an update. High Five to Villa Maria for being voted one of the most admired wine brands in the world in a list collated by the magazine Drinks International. It is the highest ranking New Zealand winery and judges focussed on consistency or improvement in quality; the wine being a true reflection of the country of origin; the brand meeting the needs and tastes of its target consumer; marketing and packaging and the appeal of the wine to a wide demographic. 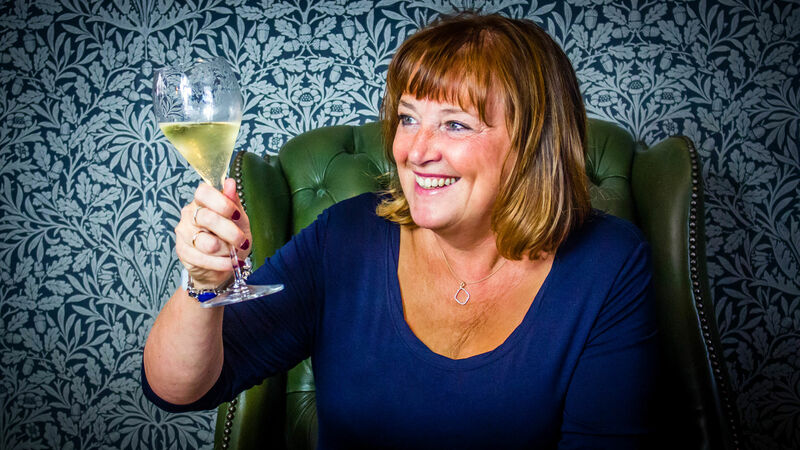 Love it Jane, hope you had a brilliant time! !